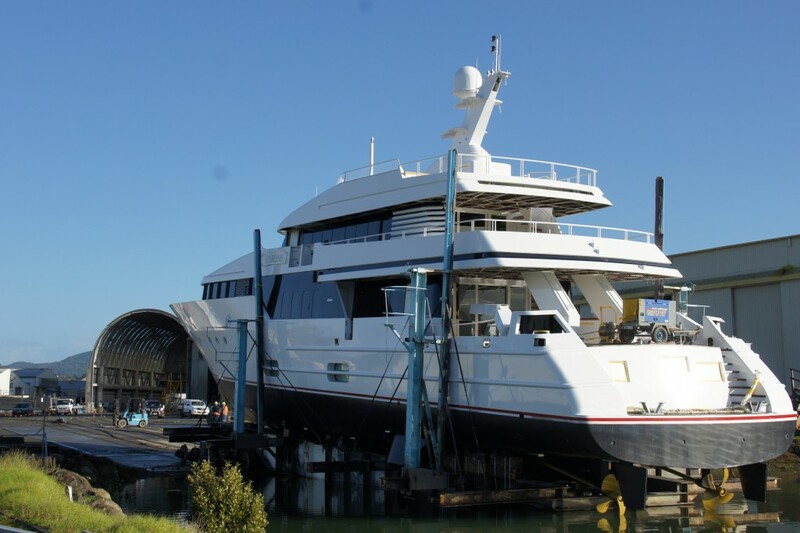 The 40M Lurssen Motor Yacht ‘Be Mine’ has been undergoing a major refit at Oceania Marine’s North Shipyard facility, in Port Whangarei, New Zealand. The project was accommodated in the shipyard’s premier undercover refit space, Shed A and completed in a very short timeframe of 12 weeks. “I congratulate everyone involved on putting this project together then executing it to achieve what has to be an excellent outcome for the owner. I spoke to skipper Mikael Andersson and he said we have a great team and have done a great job. Like almost any refit, unexpected works emerged but the team adapted and kept things on track” says Oceania Marine Managing Director Martin Gleeson. During her stay at Oceania Marine, ‘Be Mine’ had a full superstructure repaint as well as electrical, engineering, fabrication, survey and other painting works carried out. She will now spend a couple of weeks alongside the repair berth completing the remaining items that are able to be done in the water. 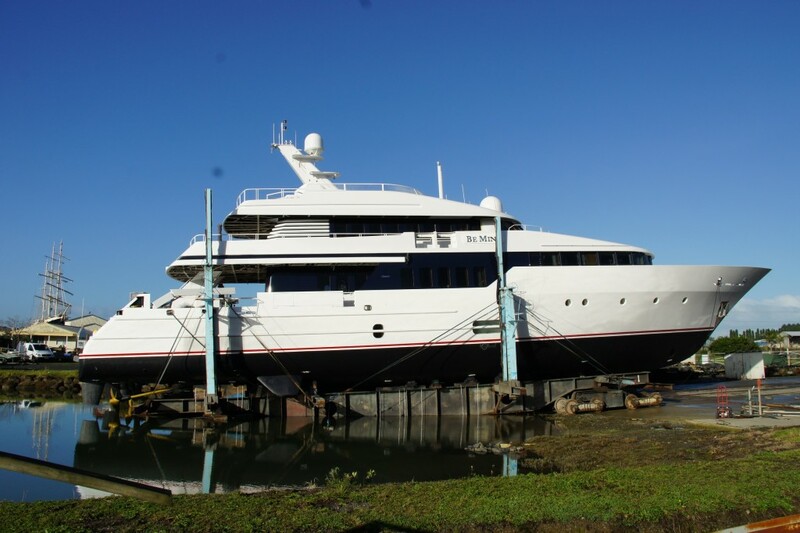 All painting was completed by Oceania Marine Coatings, who did an outstanding job, and the majority of the other works by Oceania Marine Engineering Services.